£1000 OFF for one week only, don't miss out on this amazing offer, order yours before the 30th November. Why Choose L801 Label Printer? 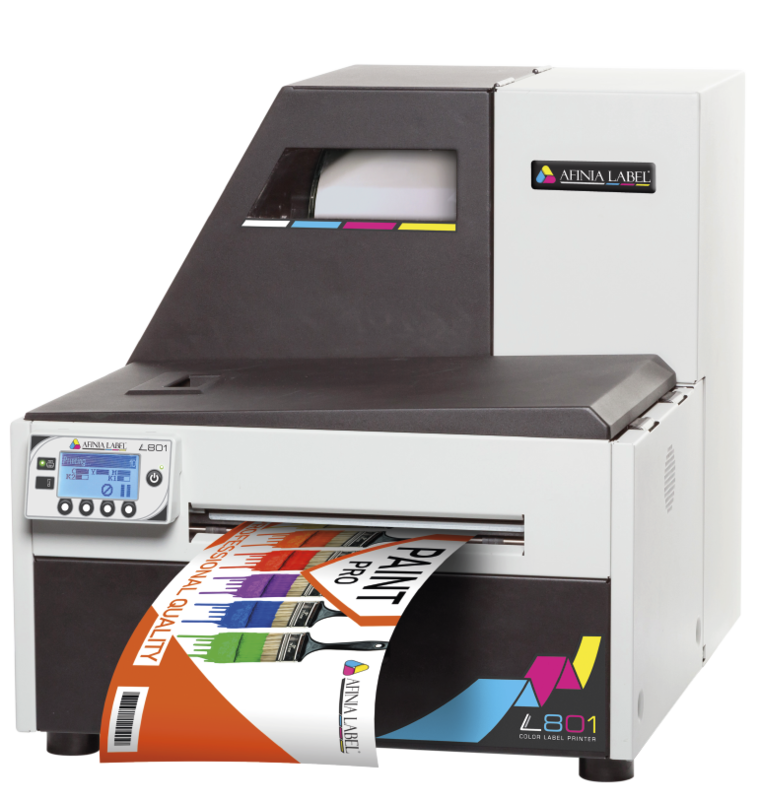 The Afinia L-801 is a high speed inkjet label printer that is at the forefront of inkjet printing technology. Powered by Memjet technology the L-801 is blisteringly fast with speeds up to 18 metres per minute on a 216mm width, producing vibrant full colour prints at a maximum of 1600dpi resolution. The revolutionary design utilises a 216mm wide static print head which has 70,400 jets that shoot millions of ink droplets through it per second, resulting in what we call ‘Waterfall Technology’. The L801 Industrial Label Printer uses Memjet technology, allowing you to print high-impact, full-colour output at up to 18 m/min. Memjet’s stationary “waterfall” printhead technology allows paper to move quickly through the printer, while maintaining excellent print resolution. The Afinia L801 Label printer allows you to save on consumables. The L801 holds 1.25 liters of ink to support large runs, and offers industry-leading ink cost. You can send us your artwork to see how much you can save, or see how the L801 has a great return on investment. The L801 Optional Label Rewinder makes managing your labels easy, and allows you to conveniently rewind your labels right onto a 76mm core. It’s a great, recommended addition for companies that experience high usage or heavy duty jobs. The rewinder can handle label sizes up to 216mm wide and rolls with up to 203mm outside diameter, and gives you the ability to choose the direction of rotation, to situate labels to be either face in or face out. "The L801 is a true workhorse that also brings a low total cost of ownership to businesses"